Blood of My Blood centres around guilt, lies and crime and its characters, very well depicted, act on the border between good and evil. A boy who has seen too much. A mother at the end of her tether. A forensic psychologist with a heart. One day, in the dark hours of the childhood with its tranquil rhythm, with its romantic moon, there appears the beast of degeneration and it is the werewolf, the zombie, the vampire; one that abuses, one that does not feel, one that betrays. There is no way to escape. The road branches off. Now, there is no sole option, one is not any more an entity, good or bad, one becomes many more. And while the personality branches off, the options become limited to only two: freedom or submission. A psychological thriller with great commercial potential which reflects the problems of the day, like difficult motherhood, violence or the sentiment of guilt. Intrigue and psychological depth. Childhood is not a paradise for everybody. 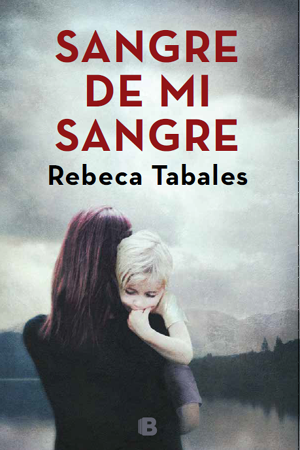 Sangre de mi sangre by Rebeca Tabales. The birth of a great novelist. Sangre de mi sangre is a thriller with elements of a detective story and a psychological horror. By showing the dark side of maternity, Rebeca Tabales offers the readers a very personal alternative to suspense. In Sangre de mi sangre Rebeca Tabales demonstrates her psychological knowledge and her writing skills and offers the readers a story which is fascinating, compassionate and also rousing anger. The prose is strong and brutal and at the same time extremely enjoyable. The characters come to life in the heart-rending story while the still prevailing, unjust system of defence of the abused adds moral significance to the narrative. Undoubtedly, an engrossing psychological thriller with an unexpected and brilliant culmination. Few years ago Rebeca Tabales’ Eres bella and brutal dazzled me. With Sangre de mi sangre I can only keep saying: follow this writer! 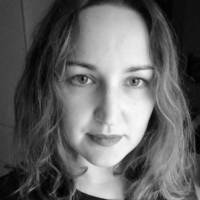 Rebeca Tabales entered the noir genre twisting the cliché and doing something very personal.